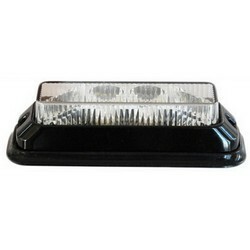 Heavy duty LED tow light ideal for tow truck. 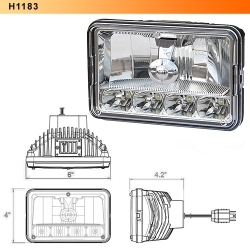 Features LED 4'' tail lamp inserted into rubber housing; Non scratch magnetic base and 30 feet heavy cord included die- casting four- pole plug. 14 doides submersible LED combination light for trailer under 80'' wide. 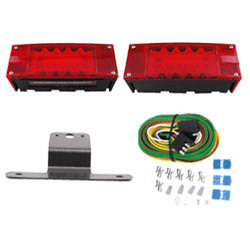 Kit includes 620/ 620L LED tail light; 25' wire harness; 4' trunk wire connector; license bracket and mounting hardware for installation. 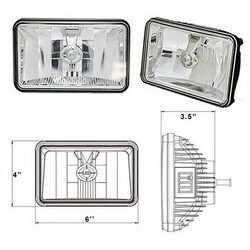 - 4" x 6" Head lamp, 4-lamp 2A1 type system. - Durable PC lens sealed with aluminum housing. - Standard H4 3 blade connector. * Bright stainless steel housing. 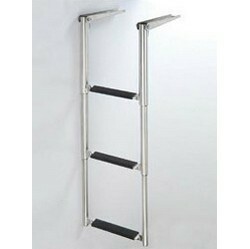 * Includes stainless steel L bracket. * Packaged in Color box. 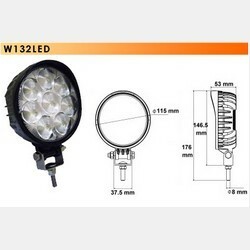 - 7" Head lamp, 2D1 type system. - Durable and waterproof design. - Available in 87,97,102 and 107 decibels. 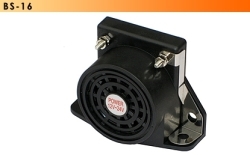 - Operates in 12V~24V system. 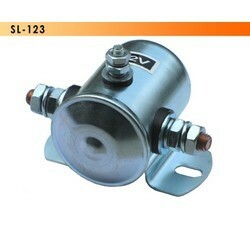 Our heavy duty trailer lock withstand 1200 lbs pull off strength which performance added security for your trailer. Stainless steel is available for most locks. 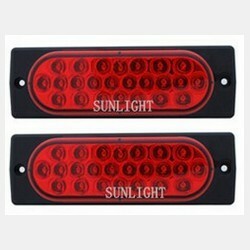 Electronic tail lamp convertor make vehicle's bulb turn signals compatible with trailer lights. Molded plastic housing; 18'' wire on tow vehicle end and 18'' wire with 4- pole flat connector on trailer end. 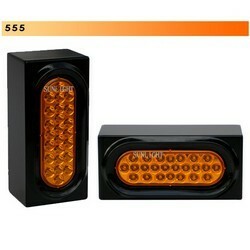 - 4" x 6" Head lamp, 4-lamp headlamp system. - Standard H4 2-blade connector. - Low Beam : 10 Watt. - 9~32 Volt operating range. 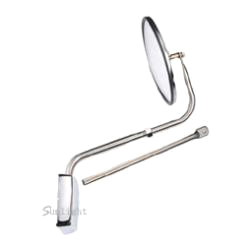 - Universal replacement mirror head for most popular delivery & construction trucks. - Silvered glass with vinyl cushioned for better protection. 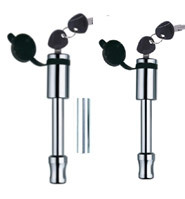 - Universal OEM style replacement mirror head. - Silvered glass with full vinyl cushioned for better protection. 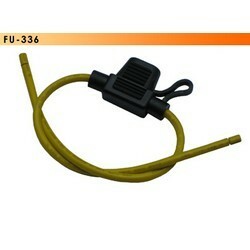 - Internal heating element for ice & frost free; Clearance light for safety. - 5/16" mounting stud fitted to OEM bracket. 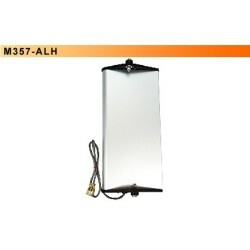 - 7”x16" Aluminum West Coast Mirror W/Heated. 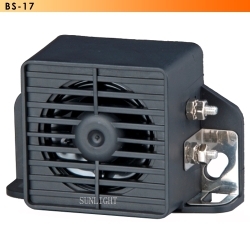 - Heater operated at 12V; 1.25 amp; 60" lead wire for installation. - Glass-filled nylon end caps for durability. 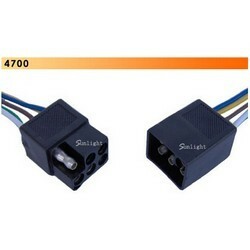 5- pole square shrouded connector set. 12'' color coded wire on both male and female shrouded connectors. - Water resistant PVC housing & cover. - To accommodate Mini plug-in fuse 5A to 30A. - Wire gauge: UL approved #12, #14#, #16, #18 . 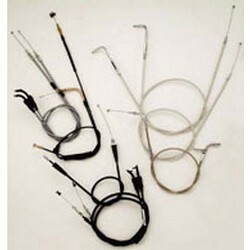 - Wire length: 6" each end. Battery isolation solenoid are use to switch off the auxiliary feed off when the vehicle ignition off. 1. 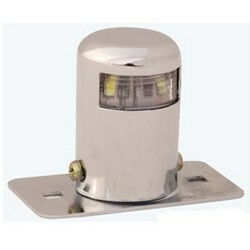 Submersible identification bar light for over- 80''. 2. Three of 225 lights attached on black polycarbonate bar. 3. Pre-wired with 18 gauge wire for electrical connection. 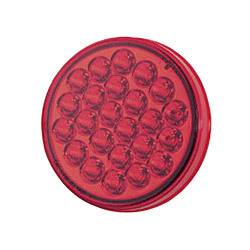 Oval LED flash strobing auxiliary or warning strobe light. 9~36V operating range, no extra flasher request. 1. 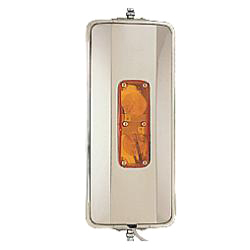 Chrome plated license light with black steel mounting bracket. 2. 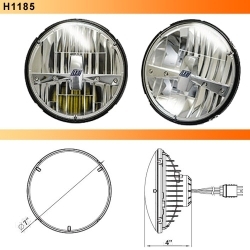 Light designed with 193 bulb, polycarbonate lens and high impact ABS chrome housing. We provide premium quality CONTROL CABLE for motorcycle , ATV, snowmobile and automobile. The exact OE specification for replacement the most of model of Harley- Davidson , Honda , Kawasaki , Suzuki , Yamaha and Europen model. 1. 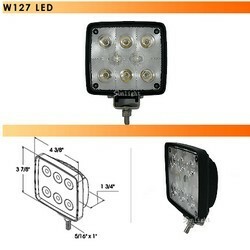 Product: 8 diodes 3 watt high power LED work light. 2. Operates at multi- voltage from 9 ~ 36V. 3. Polycarbonate lens sealed with aluminum housing. 4. Epoxy sealed electronics resistant to vibration, water and dust. 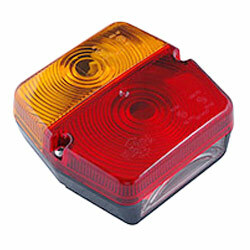 * 6 diode surface-mount strobe warning light. 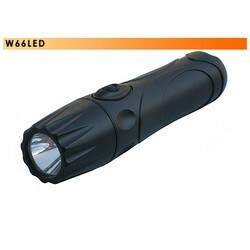 * PC lens and housing sonic welded, Super Bright LED operating from 12 ~ 24 volt. * 12 selectable flash patterns easy to set and wire for alternating strobe or synchronous strobe. 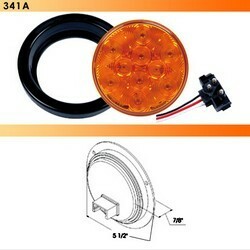 * 10 Diode Super Flux LED rear turn signal light. * Polycarbonate lens and housing sealed as single unit. 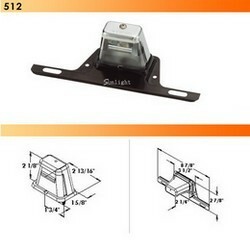 * Light designed at 13.5V 0.21/ 0.10 Amp and mount with grommet. 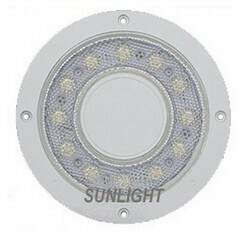 - Round,12 Diode High Power White LED Interior Light. 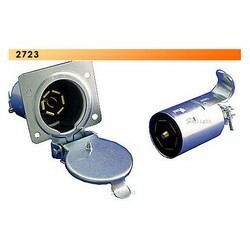 - PC lens, Aluminum housing and Stainless Steel mounting stud. 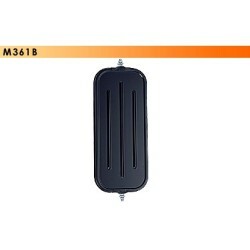 - Sealed for dust-resistant, surface mounting and pre-wired. - 4 Diode Surface-Mount Strobe Light. - Durable PC lens and aluminum housing. - Features wide angle increases visible. - 19 flash pattern ; Available with random, alternating or synchronous. 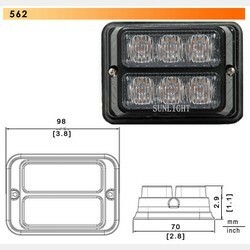 - 2 diode SMD LED Chrome License Plate Light. - PC lens, chrome plated steel bezel and steel base. - Mounting ear with curve mount plate. 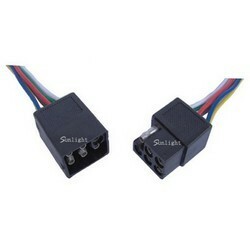 - Two lead wire connector. 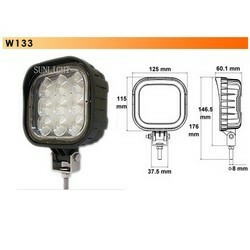 9 diodes 3 watt high power LED work light. Operates at multi- voltage from 9 ~ 36V. Polycarbonate lens sealed with aluminum housing. Epoxy sealed electronics resistant to vibration, water and dust. One diode 3 Watt high power LED flash light. Light weight and durable ABS housing. High intension light beam. Lamp operate by 2 pcs D cell battery for 11 hours. 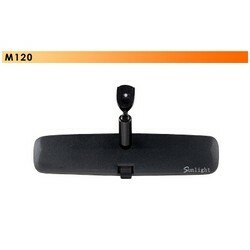 - Universal interior rearview mirror for cars and trucks. - Day & night prismate ground glass and non-glare adjustment. - Durable ABS black construction. - Kit includes application botton and glue. - Packaged in Double Blister. 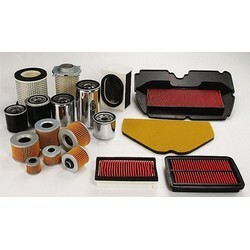 SUNLIGHT offer professional AIR FILTER & OIL FILTTER for race motorcycle and high- performance engines. Round 6- pole trailer connector set. Heavy duty die casting housing with bright chrome plate. Brass contacts molded in high impact nylon insulators. Spring loaded cover on trunk socket for dust resistant. Stop, rear position, license plate light. - Mirror designed for conventional long nose trucks. 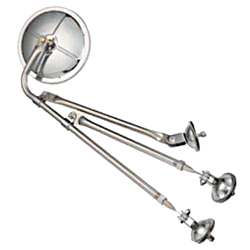 - 8-1/2" convex glass mirror head and telescopic arms pre-assembled for installation. 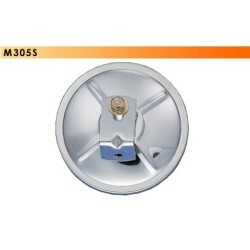 - Three larger bell mounts to reduce stress and prevent damange to fender. 1. Curved and straight extension bars for mounting. 2. Aluminum mounting base per assembly. 1. 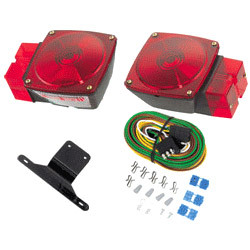 Magnetic tow light kit. 2. 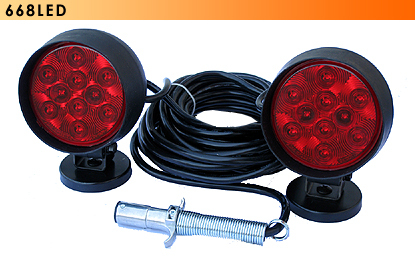 Heavy duty magnetic mount tow light kit ideal for tow trucks. 3. Super strong non scratch magnetic base. 1. 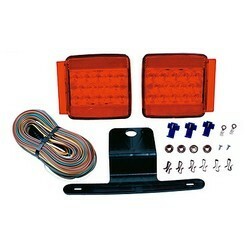 15 diodes super bright LED trailer light kit. 2. Epoxy sealed to prevent moisture and vibration. 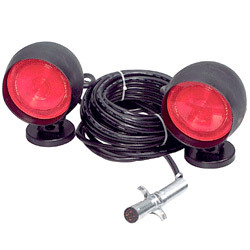 Over 80" wide submersible trailer light kit. Converts 7 pole RV to 5 pole flat. 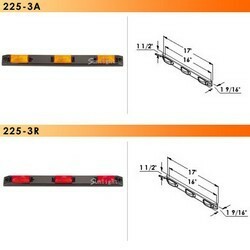 High impact molded plastic construction ; easily adapts 7 RV blade from tow vehicle to any trailer with 5 pole flat boat plug connector and transfers the brake; turn and tail to correct position. 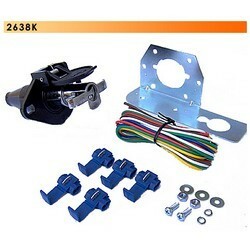 24 diode strobe light kit with steel weld boxes for installation. Kit contain 2 strobe lights and 2 weld boxes in one carton. Strobe light available in synchronous pattern or alternating stobe pattern. 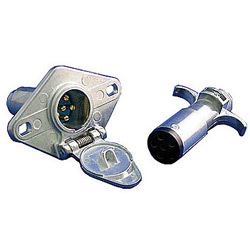 6- pole square shrouded connector set. 12'' color coded wire on both male and female shrouded connectors. 7 Way RV style trailer connector set. 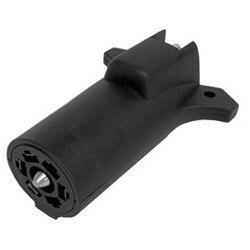 Features high impact ABS housing, 6 blade and one ground terminal molded in high impact nylon insultors. Spring loaded cover on socket for dust and water - resistance.